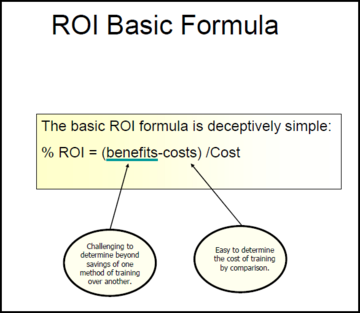 ROI (Return on Investment) is how much sales, profits or shareholder value is realized from money invested. Many consider it the final word because it’s the measurement that proves if growth is sustainable and how well a company is being managed. Twitter filed its IPO. It’s now valued at $12.8 billion but has never made a profit. In fact, the filing shows Twitter has lost money every year, with current losses at $419 million. How is it a company can continues to lose money, to the tune $419 million, yet be worth $12.8 billion? I help companies with ROI, teach Measurement and ROI at Rutgers CMD and in Strategic Digital Marketing, a new book from McGraw-Hill, authored the ROI chapter. Here’s what to consider for the ROI of the Twitter IPO. REVENUES OF $583 MILLION: This year, Twitter is expected to have revenue of almost $600. In 2014, it is estimated at $950 million. Sales are increasing +63% versus year ago. USERS ARE AT $218 MILLION: Twitter boasts 218 million monthly active users, but at 1/10 of Facebook users, for some advertisers, it isn’t a big enough. TWITTER IS PERFECTLY ALIGNED WITH MOBILE GROWTH: Next year, more people are expected to access the internet from mobile devices than desktops. More than 75% of Twitter users accessed the site from their mobile phone this year. More than 65% of Twitter’s ad revenue is already mobile. WHERE DOES THE REVENUE COMES FROM? WHAT IS THE PROGNOSIS FOR GROWTH? TWITTER REVENUE IS LARGELY IN A VARIETY OF AD PRODUCTS: About 85% of Twitter’s revenue comes from advertising. There are three main ways to advertise on Twitter: 1) By promoting a tweet that appears in people’s timelines, 2) promoting a whole account, or 3) promoting a trend. Data licensing is another revenue stream. Known as “firehose,” Twitter sells its public data, of about 500 million tweets each day. ADS ARE NOT DISRUPTIVE: Anything that disrupts the user experience, especially on a social network might reduce user engagement. One of the advantages of Twitter for marketers over traditional display advertising is they have worked really hard to make sure that advertising on Twitter does not interrupt. AD PRICING IS BASED ON RESULTS. A budget is usually set at the start of the Twitter campaign. It also has a “bidding” system in which advertisers compete with each other to have their content appear like other pay per click ads. But, in Twitter case, the per per click is a pay per retweet. Twitter tends to charge its advertisers according to the amount of interaction their content generates. AD REVENUE IS MOSTLY U.S. BASED. 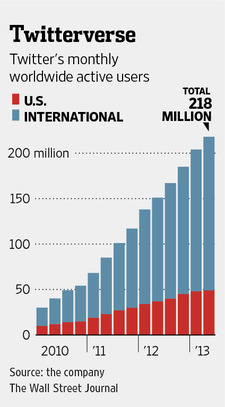 Only 17% of ad revenue is outside the US. While you could look at this as the glass half full or half empty, Twitter has to do better in increasing global ad revenue. IS WALL STREET’S IPO VALUATION ACCURATE? VALUATION IS CONSERVATIVE VERSUS OTHER INTERNET IPO’s: When Google announced its IPO, the company was valued at $28 billion (around $35 billion in today’s dollars). Facebook had an IPO valuation of $104 billion. IPO PRICE-TO-SALES RATIO IS HIGH: While Twitter’s offering is more conservative, the valuation is 28.6 times the company’s revenue over the last 12 months. Facebook’s $104 billion is only about 26 times the company’s revenue. Meanwhile, LinkedIn priced its IPO at 14.5 times its revenue. At current valuation, Twitter is overpriced. WHAT CAN WE LEARN FROM OTHER SOCIAL IPO’S – FACEBOOK AND LINKEDIN: Early demand for Facebook did not materialize, The result was that Facebook shares failed to find a sustainable bid. Meanwhile, LinkedIn priced its offering at $4.3 billion, but the shares more than doubled on their first trading day. That 109% initial price pop gave LinkedIn a valuation of $8.9 billion. Twitter is going to do well and it’s a good time for taking the company public. But don’t expect ROI right away. Twitter isn’t likely to generate a positive ROI for a couple of years, but it will. Wall Street’s valuation could also be better balance with the realities of how companies make money. Does this help show how a company with no profits can me worth so much? Now, you know my opinion, what’s yours on the ROI of the Twitter IPO? “How big can we get before we get bad?” asked legendary ad executive Jay Chiat of his agency, Chiat Day, in the 1980’s. Chiat Day doesn’t exist anymore. It was acquired by TBWA, which is a part of the Omnicom Group, which doesn’t exist anymore, because it is now merged and is called the Publicis Omnicom Group. Last week, after decades of buying up boutique firms, the advertising conglomerates Omnicom Group and Publicis Groupe decided two heads are better than one. They merged to create the world’s biggest family of agencies, with a stock market value of $35.1 billion and more than 130,000 employees. What’s the answer? 16 experts weigh-in. Has the ad biz gotten so big it’s bad? 9 say yes; 5 say no; 1 says maybe. Bigger is not better – today, when clients are hyper-focused on ROI, efficiencies, true expertise and agility rather than sheer bulk – Dr. Augustine Fou, Digital Consigliere at Marketing Science Consulting Group, Inc.
Advertising firms and other service businesses typically don’t need as much debt as manufacturers or other companies that deal with physical goods – Jeff Davis, Managing Director, Mercer Capital. Which side are you on? Do you think the ad biz has gotten so big it’s bad? Is it ever likely to change? If Jay Chiat were still with us, what would he say? What would Dan Draper think? What do you think? 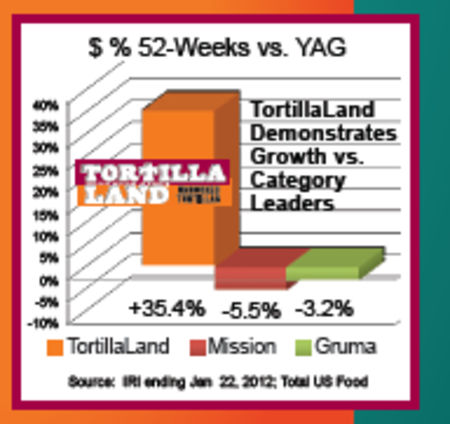 Founded in 1983, San Diego-based Circle Foods, LLC makes and markets TortillaLand, a fresh tortilla that cooks in 60 seconds, along with other ethnic foods. Three years ago, Circle Foods doubled its plant and manufacturing capabilities as the result of growing consumer acceptance and retail distribution. Available throughout the West Coast, Southwest and Southeast in major grocery chains like Ralph’s and Vons, Winn Dixie as well as Costco and Walmart, many consumers love TortillaLand’s taste and naturalness once they’ve tried them. But the brand has low awareness compared to category mainstays, whose products are pre-cooked and processed. In addition, because TortillaLand requires refrigeration at retail, consumers can’t expect to find it in the same place in every store. Seeking to leverage its success with a core group of loyal brand users and expand that success to new customers, Circle Foods turned to social media marketing, starting with food bloggers who were already talking enthusiastically among themselves about the TortillaLand brand. In a recent interview, Circle Foods’ Charlene M. Richardson, Director of Marketing, explained how this social media recipe has fared. BARNRAISERS: How did Circle Foods’ involvement in social media begin? BARNRAISERS: How does this reward system work? CHARLENE: From our social media activities, we have a database of close to 20,000 people. We’ve segmented them by state. From time to time, we mail—yes, snail mail—coupons, offers and premiums to express our thanks. We also have a blogger relations effort. We examine the traffic to cooking bloggers who write about us, the size of their social media following and geography. Because cooking bloggers are publishing new recipes almost every day, many have large and loyal followings. Our efforts work so well that our advocates have mobilized to help us when, for example, we need to spread the word on a line extension (say, corn tortilla) or attend a sampling event at Walmart or other retail outlets. BARNRAISERS: Which social media platforms are you using now? CHARLENE: We have a very strong social media presence. We publish a blog on TorillaLand.com every week. We have an active Facebook community of 11,000+ fans with whom we communicate every day. Right now, we are engaging with fans through a social sweepstakes: Win 3 iPads (1 for you; 2 for friends), plus sample packs of TortillaLand flour and corn tortillas and tortilla cookware. So we engage in social sharing and fun. We also have a YouTube channel, a Twitter community, Pinterest page and a few other outposts as well. BARNRAISERS: What have been the results? CHARLENE: Sales say it all. Business is up 35% versus year ago. Trade success has been critical, but it is undeniable that social media is a strong contributor. Our sales increases track directly to increases in Facebook Fans, then to YouTube video views and website visits where consumers can use a Store Locator to find the nearest store or download a Product Request Form to take to a retailer, which our fans do. BARNRAISERS: What social media resources do you have to do the work? CHARLENE: We have a team of four people from the outside, either from an agency or consultant, and interns from time to time. We meet every couple of weeks to review activity, metrics and decide actions. What makes it work is the consistency of everyone’s involvement, the generation of new ideas and the action orientation. BARNRAISERS: What advice do you have for a company that is considering or is involved in social media? CHARLENE: Ask fundamental business questions. 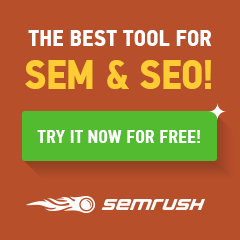 What are the desired results? Who do you want to attract? Where do you find them? What are the measurements that matter? If you take the time to ask and answer these questions, the right path for your business using social media starts to reveal itself. We’re proud that this success story for TortillaLand is also one of our own and that we’ve been with Circle Foods since the beginning of this journey. Do you think your business could benefit from the principle’s Charlene and her team are practicing? Are you interested in seeing a +35% increase in sales for your business? 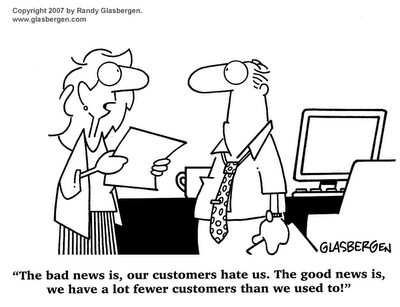 71% of customers go online first when they have a problem with a product or a service (source: TNS). You can do the math but could social media be better at building trust? Here’s what 12 companies learned using Twitter for customer service. @AJBomber: Restaurant owner, Joe Sorge, uses Twitter for outreach and as an extra pair of eyes and ears to listen and respond to customers. As a results, 75% of customers come from Twitter; weekly sales increased +60% within a year and, today, AJBombers has 19,910 followers. Not bad for a restaurant with two locations in Wisconsin. @AmericanExpress: American Express found consumers who begin a customer service dialogue through Twitter “are willing to pay a 21 percent premium at companies that provide great service. Ultimately, getting a service right with these social media savvy consumers can help a business grow,” says Jim Bush, an AmEx EVP. @AskHalifaxBank: With no response from other channels, an angry customer resorted to Twitter: “Good LORD @askhalifaxbank how can 1 company make SUCH a mess of Isa transfers? I’m on hours of phonecalls, branch visits & still not sorted.” She got a response within minutes her complaint had been forwarded and return tweet: “If we can help with anything in future, feel free to tweet.” She says she would use Twitter again. @ClevelandClinic: The Cleveland Clinic uses Twitter to dispense health advice to over 52,000 followers. In return, patients are better about keeping their appointments with physicians and the Cleveland Clinic has a noticeable increase in traffic to their website. @HRBlockAnswers: During tax season, a long response time can mean a lost customer. For example, @r_wett tweeted “HR block, how is it that the FREE SC e-flie [sic] costs me $30 to file?” A short seven minutes later, @HRBlockAnswers replied, “@r_wett Through the HRBlock website, Federal returns can be completed for Free. Fees apply for states. In this case, the exchange and the quality of the dialogue secured a new customer. @LAFitnessUKHelp: When a frustrated customer wanted to know the LA Fitness’s cancellation policy, he spent 15 minutes on hold and hung us. Instead, he asked on Twitter, and his tweet was answered within four minutes. He stayed a member. @SouthwestAirlines: An angry customer tweets a complaint about her flight that “Southwest=Suckage.” She gets another tweet back and then another tweet days later ask how her return flight was. “I have to say that my Southwest Twitter experience wasn’t just a single fire and forget incident as they twittered back again to check up on me,” she says. @Starbucks: To listen to customers and help with content management, Starbucks tweets: “Hello Twitterville. I posted some news stories last week. Is that interesting for you. I’m here for you, so let me know what you want to see.” Couldn’t any brand benefit if they followed this tweeting practice? @TwelpForce: Best Buy gives employees the opportunity to help consumers on Twitter voluntarily and the community grows to 2,200 employees within 3 months. They respond to over 13,000 customers on Twitter answering 100-125 questions, concerns, and opinions every day. The Twitter feed @twelpforce now counts over 44,000 followers and the number of questions averages 100-125 per day. Someone I know was waiting on line at the Best Buy Help Desk and had her issue resolved faster on @TwelpForce than in store. What do these lessons from 12 companies teach you? The Wall Street Journal, in a recent article, Avon Is Late to Social Media’s Party, reported sales for cosmetic products have steadily moved online to sites like Sephora.com, Beauty.com and Drugstore.com. This has contributed to a -75% decline in operating profit for Avon and their 5.8 million sales representatives that sell door-to-door over the last decade. Recently, Warren Buffet and Coty made a move to takeover a company in crisis. I feel bad whenever 1-to-1 relationships are replaced by computers. 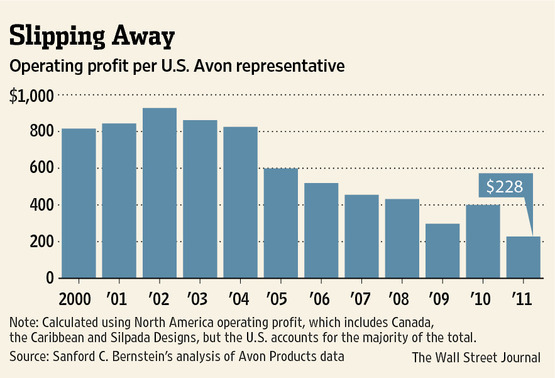 Even though WSJ says Avon is late to “Social Media’s Party,” I don’t believe it is. Social media is not about being early or late; it’s there for any brand that is willing to join. Here’s what we came up with; 10 actions Avon should take to Social Media party. On the brink of bankruptcy in the 1970’s, Harley Davidson overhauled their business to realize their most valuable asset was their riders. In other words, the people were even more important than the product so Harley: 1) Spoke to the shared interest of their community before product benefits 2) brought advocates together and let them help build new relationships. Avon needs a business strategy, not a social media strategy. Now, here’s what they can put it to use. 2. “AVON CALLING” ONLINE COMMUNITY: Avon’s famous slogan could now be a live, online community where their sales reps offer daily advice about Avon products, deals, help customers with a cosmetic question, refer someone to the Avon rep in their area and talk about who they are as people (e.g. where they like to go on vacation). By the way, this is what Harley does daily at HDTalking.com, a customer created content community of close to 400,000 members. P&G also has a highly successful online community, Being Girl, for their Tampax and Always brands that has achieved a 4-to-1 ROI over traditional channels. Avon even has a online community in the UK, Avon Connects, demonstrating they are not late, they just have to invite the rest of their reps from around the world to their party. 3. “LIKE” US ON FACEBOOK (AND SEE WHAT HAPPENS): Every brand wants you to “Like” them and Avon has a pretty robust but commercial Facebook page that 660,000 people already like. They could use their sales reps more and show a human side. For example, Kraft Macaroni & Cheese, recently produced a video called “Likeapella” to celebrate the people who like them. Not to suggest that Avon do the same thing but to make the point that major brands need to use social media to make a more personal connection. Here’s what Kraft did. 4. AVON CUSTOMER APPRECIATION DAYS (VIA TWITTER SEARCH): If Avon representative wanted to build 1-to-1 relationships in larger venues, they could go to high traffic locations in their area like a mall; then, if they use Twitter Search, they could find other women in the same mall and begin a conversation the very same way with the very same techniques they use when selling door-to-door. 5. KLOUT PERKS: With 5.8 million sales reps, they must have a very large number who have high Klout scores. Why not demonstrate to how powerful they already are in social media. Put this social influence to work and see how many rewards Avon reps can get through “Klout Perks.” This would show how much social influence sales reps already have. 7. AVON PINTEREST CONTEST: Taking Pinterest one step further is the idea of a “Pin It To Win It” contest. Avon has the opportunity to engage with its customers in creative ways that engages both customers and sales representatives. 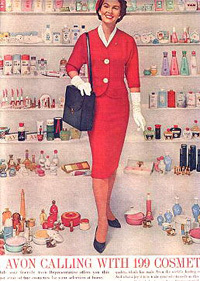 For example, many of Avon’s products are colorful from its nail polish to lip glow. A red, white and blue Fourth of July themed challenge could create fireworks of fun. 8. AVON SALES REP SOCIAL MEDIA TRAINING: Avon has created an innovative online training program, Beauty of Knowledge, for their sales reps. Topics range from how to start your new Avon business to money management, logistics, goal setting and traditional marketing support. However, in my research I came across sales reps who had posted on social networks the need and their desire for social media courses to be included in their training. Although Avon sales reps are currently involved in social media many are still have challenges on how to start and/or how to take their initiatives to the next level. In addition to the training we suggest that Avon consider developing a series of template models for Twitter, Facebook and blogs. 10. SOCIAL MEDIA MEASUREMENT: Including social media as part of a marketing communications strategy can help accelerate achieving your goals. However, with so many moving pieces, Avon doesn’t need more measurement, they need to identify the ones that matter, their Key Performance Indicators (KPI’s), and report, track and be prepared to take action on them. Maybe, if Avon follows this plan, it would let Warren Buffet and Coty know just who they’re dealing with. Some great brands have turned their business around when they realize their community is their strongest brand asset. Do you think these actions would help Avon turn their business around?